Coral Dental Care is well equipped to treat a variety of dental problems ranging from general dentistry related issues to those ranging within the realm of cosmetic dentistry. We ensure that all your dental needs are treated using the latest technology so you can experience the most pleasant treatment right from the moment you walk into our office. We have combined a modern infrastructure and latest technology with our diligent efforts and vast experience to provide you with uncompromising dental care. What Does Our Expertise Include? Our cosmetic treatments include invisalign teeth which are a series of clear removable aligners used to straighten the teeth, thus eliminating the need to wear metal wires or braces. We also provide teeth whitening treatment, where stained or discolored teeth are bleached to give you that dazzling smile. From reshaping your teeth to enhancing their esthetics, we make sure that every treatment plan is just as individualized as you are so that you smile with confidence! 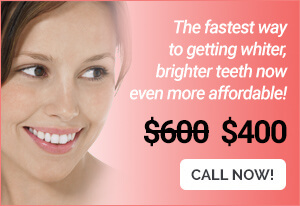 Yes, you too can afford quality dental care in a world-class environment! We make every possible effort to keep your dental costs down while ensuring the highest level of professional care. 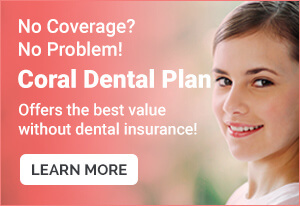 Our Coral Dental Plan is highly affordable and does not subject you to any monthly premiums and hidden fees so that you save thousands of dollars a year on dental fees. For affordable dental plans in MA, call our Salem family and cosmetic dentistry at 978-607-0110. Call 978-607-0110 for an appointment, or schedule one online! At Coral Dental Care, LLC, every new patient can be confident of the best treatment and personalized service. To save time, you can download the forms below and bring them duly filled when you visit our office. Modern dental technology, a personalized approach, a compassionate staff and a comfortable environment enable us to ensure uncompromising care and quality dental services for every patient. All our dental treatments are customized to suit unique patient needs and we have all possible arrangements to ensure a stress-free dental experience. (except Wednesday) 9 a.m. to 5 p.m.